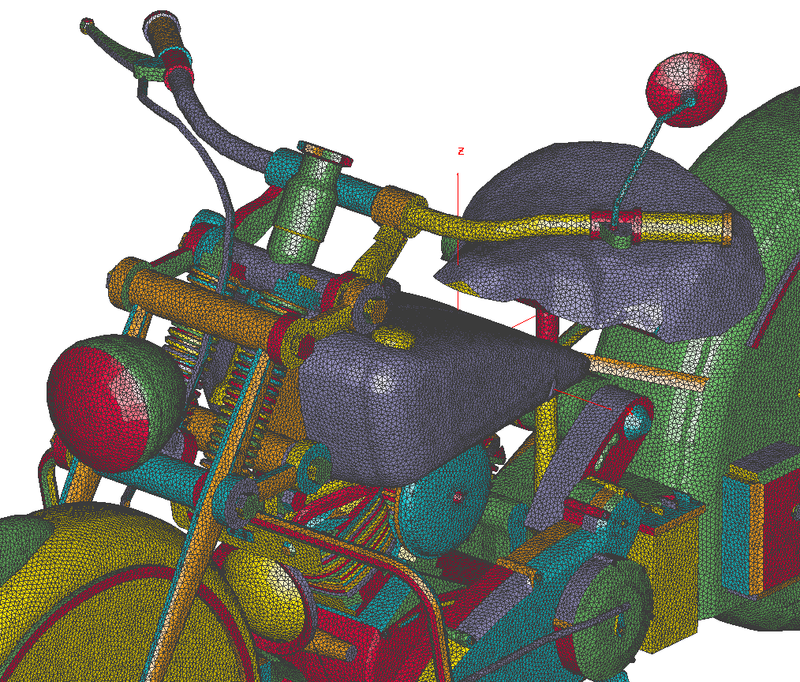 Meshing and preprocessing [Are they the same thing? Does pre- include meshing?] are a big part of the free, no-registration report from Tech Clarity on Addressing the Bottlenecks of FEA Simulation. The best practices of high performers in this area include prioritizing automation while retaining control. We’re conducting a 3-question survey on how you use Pointwise to generate your CFD meshes. Can you spend a minute (literally) to take it? Planet X’s new time trial bike EXO3 was streamlined with the aid of CFD. Same story, different names: Bianchi’s Oltre XR4 road bike. The Siemens Simcenter Symposium 2016 will be in Troy, Michigan on 13-14 September. You have until July 29th to get your abstract submitted for the 2016 FLOW-3D Americas Users Conference. The global CFD market is forecast to grow at 13.6% through 2019. Autodesk is offering a technology preview of Project Calrissian for CFD, a mashup of Autodesk Flow Design and Project Ventus for CFD. Beta CAE announced v17.0.0 of their software suite. Those of us who program/programmed for a living will probably enjoy looking at the source code from the Apollo 11 guidance computer. There’s nothing like viewing great works of art with your own eyes. And it’s a bonus when you [OK, when I] can find meshes in them. That’s exactly what happened yesterday when I toured The Modern Art Museum of Fort Worth with two visiting CFD luminaries. (Yes, there are more CFDers than just me who appreciate modern and contemporary art.) We were there primarily for the Frank Stella Retrospective but also explored the museum’s permanent collection on the second floor. Stella’s more recent work involves CAD software and 3D printing which means that I might be able to have a quasi-intelligent conversation with him about his process. (Unlike paint on canvas about which I know vastly less.) 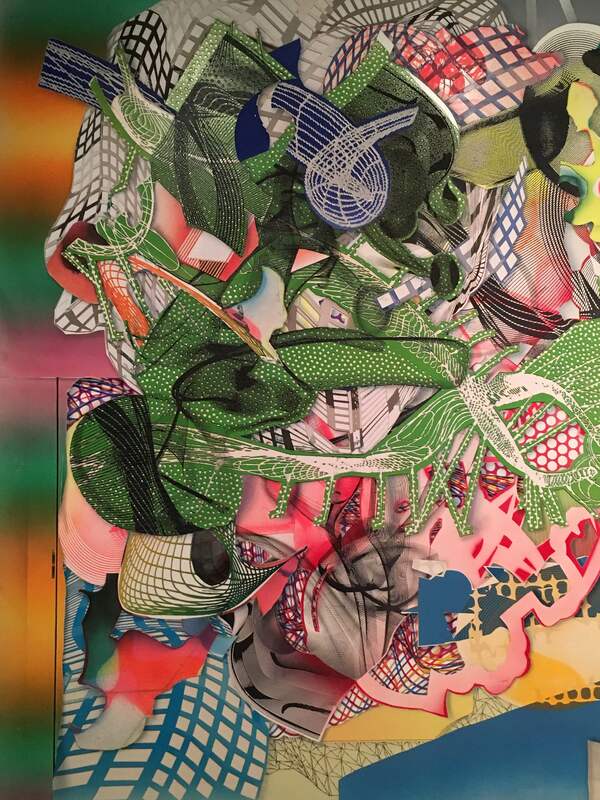 What’s shown below is a detailed view of one of Stella’s painting/collages that incorporates a lot of mesh-like components. The Modern’s collection includes a massive work by Mark Bradford who, like another favorite painter of mine Callum Innes, uses a reductive technique. Whereas Innes uses turpentine or something similar to remove paint, Bradford uses a sander to carve down into layers of material he previously applied. This entry was posted in Applications, Events, News, Software and tagged Beta CAE, FLOW-3D, meshing, Pointwise, Project Calrissian, Siemens, Simcenter, Tech Clarity. Bookmark the permalink. On Vox’s biggest issues facing science, and peer review in particular, they state that research has shown that “peer review doesn’t reliably prevent poor-quality science from being published”. I assert that even a well-executed peer review process *itself* is unlikely to catch this either; it’s the meta-process of the practice of science that will catch this, and does catch this in important cases. I think other problems with peer review (timeliness, not knowing what the significant papers are) are derived problems, derived from having too many people trying to do original research in the first place. That problem attracts and rewards those who are good at disguising things as original research, rather than those who do actual original research. The problems with peer review derive directly from that. Frank Stella, “Das Erdbeben in Chili [N#3]” (1999), acrylic on canvas, 144 x 486 inches. 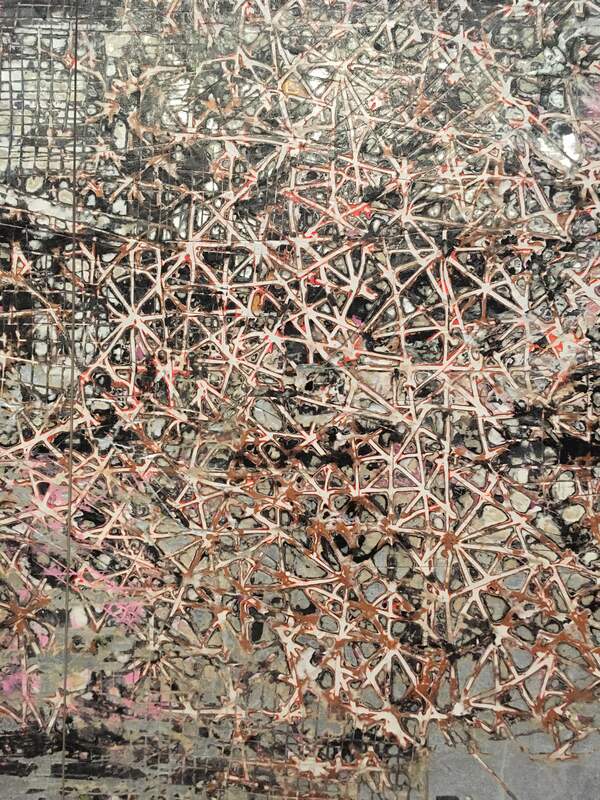 Mark Bradford, “Kingdom Day” (2010), mixed media collage on canvas, 120 x 480 inches. Thank you. Some day I’ll remember to also photograph the placard next to the painting. You’d think I’d know the name of the Bradford by now for as many times as I’ve seen it.